Well, there are always some surprises in the Beatles and Beatles-related collecting game. 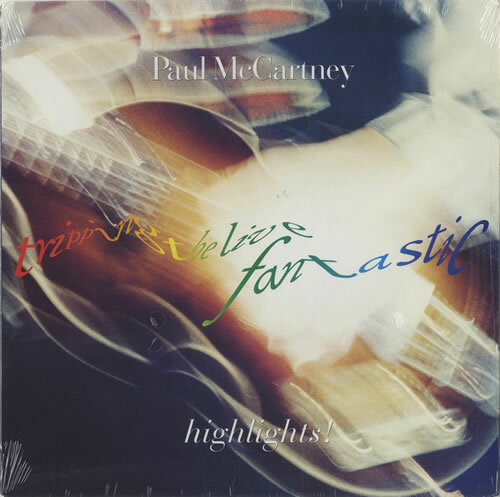 I always thought that the “Highlights” LP had an identical track-listing to the compact disc and so have never paid much interest in getting that particular disc….until about a week ago when I decided to look on the Internet for a copy of the full “Tripping the Live Fantastic” 3-LP version to add to the collection. (Turns out these are pretty rare and subsequently expensive, and so I am still looking….). 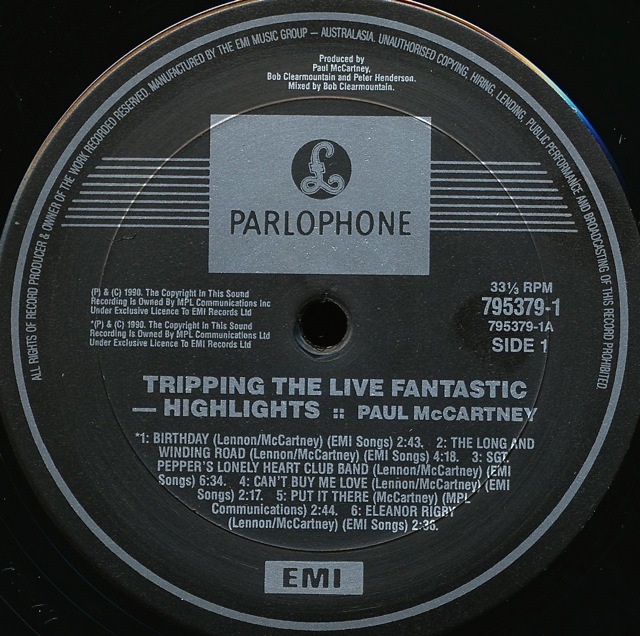 “Tripping” is a live disc of songs McCartney recorded in different locations around the world, as he says “….from Rio to Glasgow, Tokyo, through most everywhere and back again…”. The CD song list is: 1. Got To Get You Into My Life (Not on LP), 2. Birthday, 3. We Got Married (Not on LP), 4. Long And Winding Road, 5. Sergeant Pepper’s Lonely Hearts Club Band, 6. 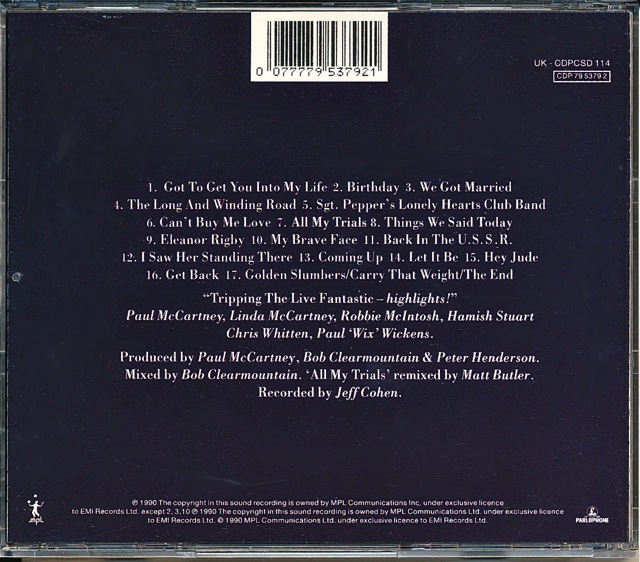 Can’t Buy Me Love, 7. All My Trials (Not on LP), 8. Things We Said Today (Not on LP), 9. Eleanor Rigby, 10. My Brave Face, 11. 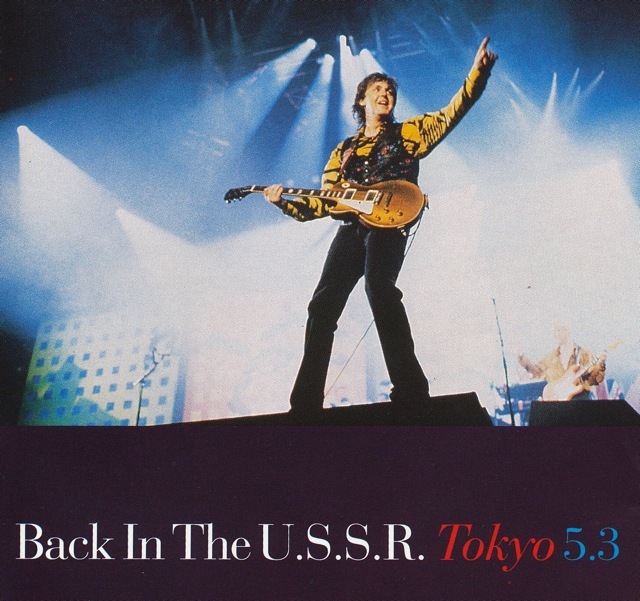 Back In The USSR (Not on LP), 12. I Saw Her Standing There, 13. Coming Up, 14. Let It Be, 15. Hey Jude, 16. Get Back, 17. Golden Slumbers/Carry That Weight/The End (Not on LP). 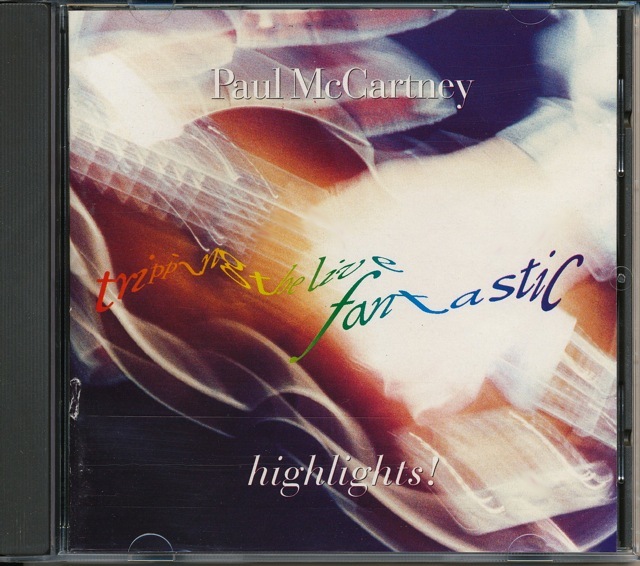 This is a really nice mint copy of the “Highlights” CD. Its a UK pressing – I think. I say that because the label is a bit confusing. In the small print around the CD outer is says “Manufactured in England by EMI”, but just under the catalogue number it says “Made in Austria”. Weird. I am still on the lookout for the 3-LP vinyl version, or maybe a nice copy of the double CD full version of the release. Or maybe both! Will let you know how I go…. 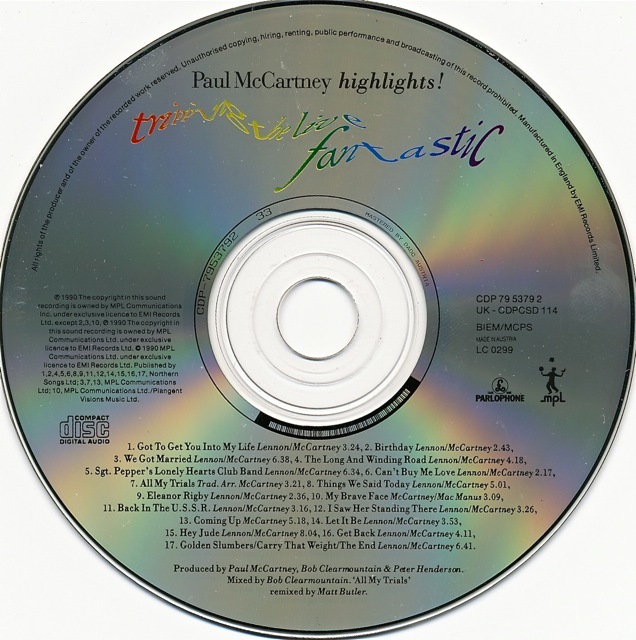 This entry was posted in Beatles Collecting, Beatles Music, Beatles Related, Paul McCartney and tagged Beatles Collecting, Beatles Related, McCartney live, Paul McCartney, Tripping the Live Fantastic by beatlesblogger. Bookmark the permalink.